Be anywhere, right from your room. A digital window that connects you to the world. Atmoph Window. By simply putting it on your desk or hanging it on the wall, Atmoph Window will open up a whole new world before you. With hundreds of videos of beautiful scenery from around the world, complete with audio, you’ll feel as if you’re actually there. Leaves flowing in the wind. The sound of waves on a tropical beach. All in 4K quality. All landscape scenery from around the world on Atmoph Window is exclusively filmed by Atmoph. Beautiful 4K-filmed videos with audio recorded in each location can turn an ordinary day into a brand new experience. A window whose view is blocked by the next building, a room with just a tiny window, a windowless wall. 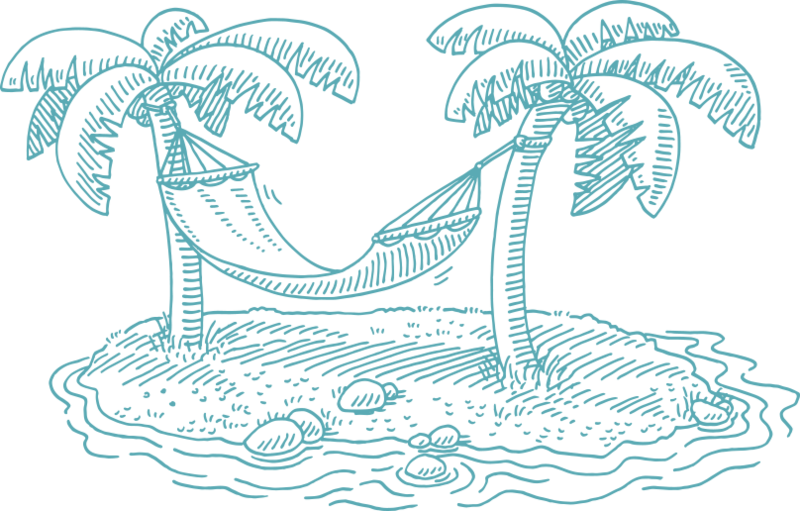 How nice would it be if instead you could see a beach and a bright blue sky, a view of New York City at night, or a gentle rain to calm your mind? With Atmoph Window, you can experience beautiful views you thought you never would. When you wake up in the morning, come home after an exhausting day at work, or spend a day off lounging around, the same room always has the same view. The interior can be changed, but not what you see from your window. Just like there are songs for when you’re feeling down, and songs for when you’re feeling great, why not change the scenery and ambient sound to go along with how you feel? 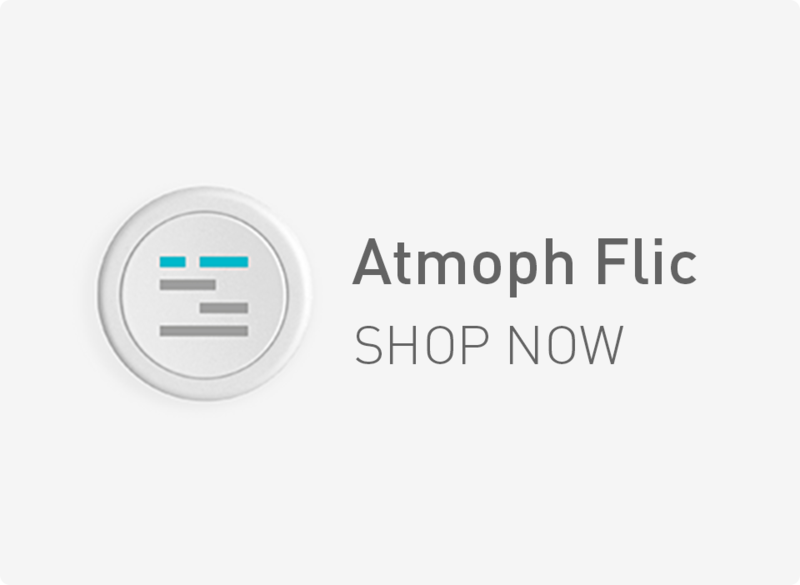 Atmoph Window can help change your mood in a big way. Finding time to travel isn’t always easy. And with photos, it can be tough to recall the surrounding scenery. 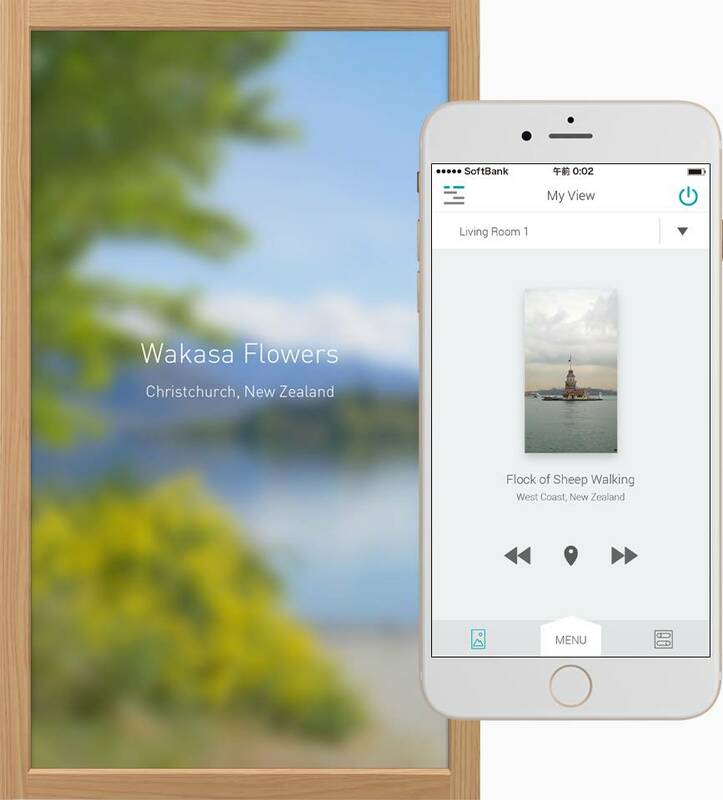 But with Atmoph Window, you can see people walking and chatting, see flowers native to a faraway island swaying in the breeze, hear nature’s rhythm in the waves and the wind, all of which bring your senses to that place, like you were there. How about a trip to some of the furthest areas in this wide world? Since there weren’t really videos that were filmed to be a view from a window when we started, we decided to film them ourselves. We have cameramen all around the world filming incredible landscapes with professional-grade 4K cameras and high-performance microphones. We take care to make sure each video feels like it could be a real view from a window, including: composition, the position of the horizon, and the angle of view, all of which make the views on Atmoph Window feel that much more realistic. More than 500 landscapes available for download. Starting from just $5.99. Ten free videos are included on every Atmoph Window. After connecting to the internet via Wi-Fi, you can purchase and download unlimited views from the Atmoph View Store, which currently holds over 500 landscapes. Plus, we add around ten new videos every other week, so you’ll be able to find your favorite views for different seasons, times, and moods. Each filmed landscape is edited carefully by our video editor. From the brightness and colors to the final look-and-feel to find-tuning of the sound, each video is edited to look more real. The editing process is a crucial stop to help making sure you enjoy the videos and sound. Compared to H.264, the traditional video compression algorithm, the newest H.265 encoding we use has much higher intelligent compression, resulting in almost double the quality given the same size. Wi-Fi that’s three times as fast. Network speeds of 5GHz-band Wi-Fi can be up to three times as fast as 2.4GHz. Plus, less signal interference at your home, as the 5GHz frequency is not commonly used by home appliances. The Atmoph View Store has a wide range of different scenes. Relax watching jellyfish floating in an aquarium, watch a crackling fire in a fireplace on a cold winter’s day, or get a good night’s sleep in space feeling the never-ending eternity of the universe. Place it on a desk, or hang it on the wall. That’s it. Does installation require any heavy-duty construction? No, it doesn’t. 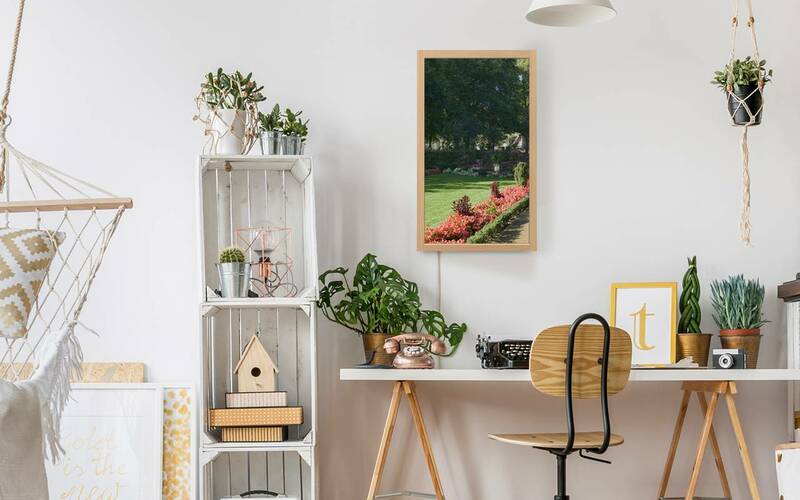 Atmoph Window was designed with easiness in mind so that you can just put it on your desk or easily hang on the wall without hassle. 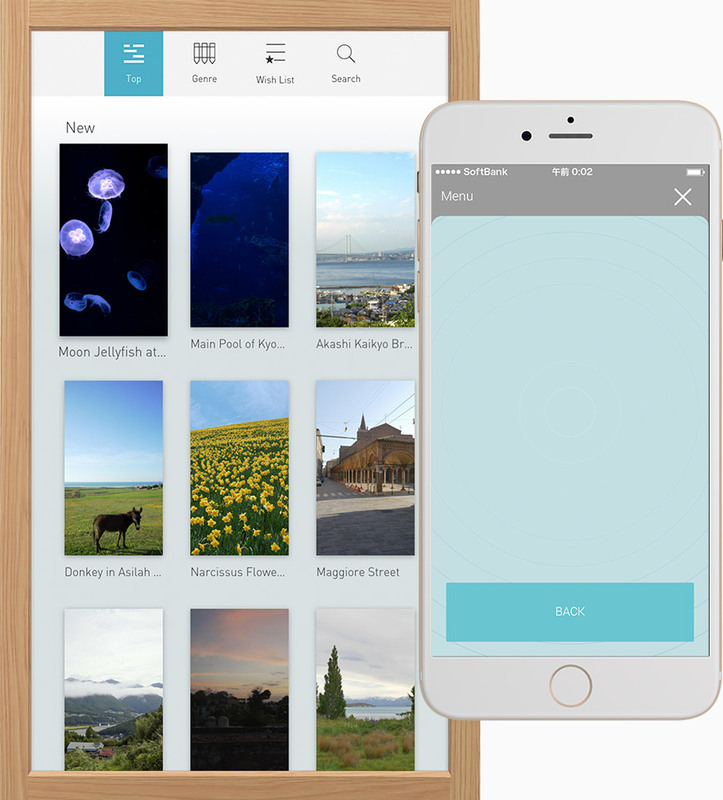 After downloading Atmoph’s free app, your smartphone becomes a remote for your Atmoph Window. Change the view, download more views, change the volume or brightness, or display different pieces of useful info like the time or the weather. Every action is quick and easy. 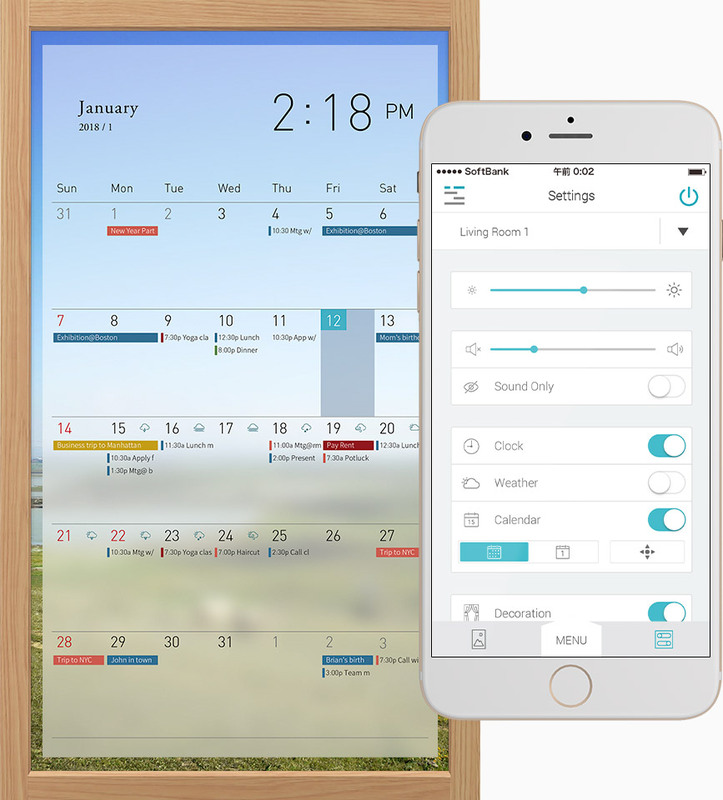 Change the view, adjust the volume, show or hide the calendar, clock, and weather, and more. All by using the sensor with your hand. You don't have to look for your smartphone anymore. You’re all set with simple gesture controls. Using Amazon Alexa and Google Home enables you to use voice control with Atmoph Window. And with IFTTT, you can combine different services and actions to make your own commands, like having Atmoph Window go into sleep mode when you leave home and turn on when you come back. 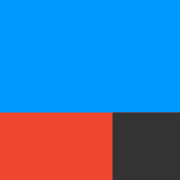 IFTTT is a service that combines triggers and actions to automate and simplify your everyday life. We've provided some combinations that you can use, like asking Google Home to change the view. But you can also make your own. You can have Atmoph Window show your calendar when you wake up, or automatically switch to a view of a train when one of your family members leaves work. How will you use Atmoph Window? There is so much you can do with this future digital window. Change to a view of Hawaii when you leave work. Show today’s schedule when you arrive at the office. Change to a rainy view if it starts to rain. Turn off when you push a Flic button. Turn on at sunrise to a view of California. Information you need, a glance away. Because Atmoph Window is digital, it can provide useful information for your day-to-day life. You can view the time, calendar, even the weather. No need to turn on your TV or grab your phone to check this info. You can even sync your Google Calendar. It’s a glance away with Atmoph Window. Choose from multiple formats for time, dates, and weather, as well. For the calendar, you can select which country’s national holidays to display. Atmoph Window gives you control of detailed settings like this, too. Atmoph Window comes in five different colors to fit various interior decors. Every aspect of this product was made with a refined aesthetic in mind, so that it looks simple and sleek from any angle. The frame was designed to look like a real window, with the screen set back into the frame to provide a sense of depth. It fits seamlessly against the wall, and there are ventilation holes on the top and bottom in order to remain hidden. We tried to make Atmoph Window as simple as possible. We even tried to eliminate the power cord so that it feels more like a real window, but with current technology standards, this proved to be infeasible, even with an onboard battery. So we installed a high-quality fabric cable that won’t interfere with the decor. Its soft ivory color can fit with any wall. Go panoramic with two to three Atmoph Window devices. You can connect two to three Atmoph Window devices together to display a single wide-angle view using the Panorama feature. Views using the Panorama feature feel even more like you’re looking through a real window, as birds fly and vehicles pass across multiple windows. Decorations make Atmoph more like a real window. The Decoration feature lets you add virtual window frames on top of the views. Using this feature, you can enjoy the same view like you’re in different rooms. Use the buttons to change the decoration. Atmoph Window is always evolving with automatic system updates. In less than a year since we started shipping the Atmoph Window, we rolled out more than 30 system updates. These updates provide improved system stability, as well as additional new features. System updates are performed automatically via Wi-Fi, so there’s no hassle. Atmoph Window is always evolving. There are two wall mount holes on the back to hang on the wall with screws or nails. Survey results from our customers. Q1. Do you think it was good to purchase Atmoph Window? Q2. Do you feel relaxed when you see the image of Atmoph Window? “My Atmoph Window was delivered today, and I set it up in my living room! It’s a very exciting product, and I’m extremely satisfied with my purchase. I’m going to try out various landscapes, and I’m looking forward to future updates.” D.I. What view will you go with tomorrow? Better time for a better day.